Heat: "CMOs today are charged with growing the business and, as a result, they need partners that aren't just ad agencies." Sure, Matthew McConaughey is just about the sexiest name you can put behind a brand. Let’s all agree on that. But do you know who the curveball spokesperson is? A master bourbon distiller with 64 years under his belt and dollops of sass reading nasty tweets about his own product on camera. "We always tell everybody that if they have a complaint about our product then send it back to us -- we’ll drink it ourselves," said Jimmy Russell about his strict return policy at Wild Turkey. Jimmy and his son Eddie have a combined 101 years with the Campari brand. Last year, they teamed up with Deloitte’s creative agency Heat to bring renewed perception to the name. Wild Turkey asked the shop to pay tribute to the bourbon Jimmy created decades ago. What started as a small request to send a tweet on its anniversary ballooned into a risky and bold move that’s paid dividends. "The bourbon category itself is the most matching-luggage, same-same category that we’ve ever worked on," Jonathan Byrne, Heat’s creative director, told Campaign US. "From the barrels to the old white men to Kentucky and talking about the water -- everything is the same. And everybody is trying to carve out a bit of a niche and there’s certainly a very regimented way that bourbon is made, so it can be hard for brands to differentiate the product. "A lot of Wild Turkey setting itself apart is this unapologetic attitude it has. We're incredibly proud of this work." It took a while to get everyone on-board with the idea of Jimmy addressing negative perceptions head-on. But his unmerciful attitude and razor-sharp wit bought the campaign to life in a way that forced the brand to take the road less-traveled -- successfully. The videos (one of which features Jimmy reading complaints out loud before they're carved into a barrel and set on fire) garnered more than 50 million impressions across all channels and resulted in video completion 12 times higher than Wild Turkey’s average paid VCR on Facebook and Instagram. Based on their overall success with Wild Turkey in 2018, Heat was subsequently named social and digital agency of record for Russell’s Reserve Bourbon. Sean Yelle, brand director at Wild Turkey, said: "With ‘101 Years, Real Bourbon, No Apologies’ we’re seeing some of the highest engagement rates since we launched our social channels. "Wild Turkey is unapologetic, authentic and carries with it a bold sense of conviction. That conviction is the cornerstone of the brand and our communications. And, we feel that identity resonates with consumers and will continue to drive our storytelling. "We want to continue building successful campaigns by leveraging Wild Turkey’s voice and authentic story, which will always be front and center." The brand recently announced Matthew McConaughey is stepping up his role within Wild Turkey to become its creative director. Heat’s latest Wild Turkey work comes as it expands its U.S. presence with a new office in Chicago. The 10-year-old agency, which works with Levis and Warner Bros among other big names, was acquired by Deloitte three years ago. It was a strategic move as adland undergoes an goliath transformation in terms of agency model and client services. Yelle said: "Heat’s offering is unique: stand-out creative combined with business management expertise as a result of the relationship with Deloitte Digital. Throughout the pitch, it was clear Heat had a deep understanding of our business, audience and voice. 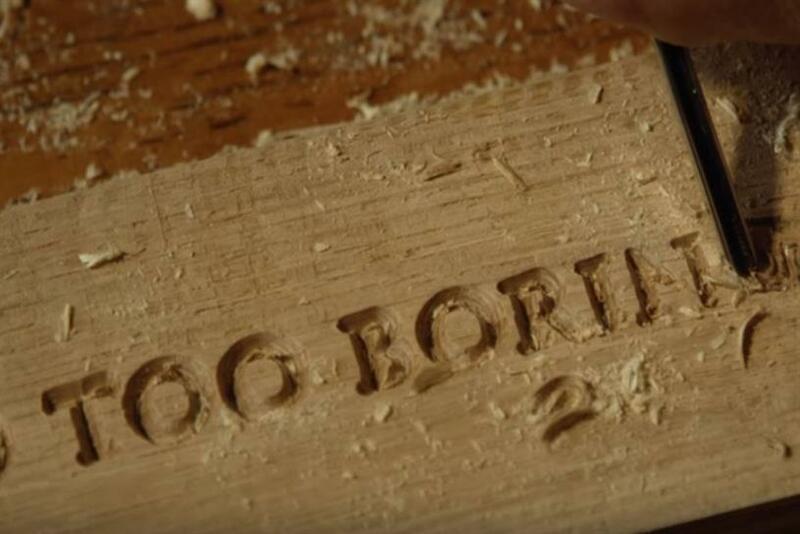 Their work on the "101 Years, Real Bourbon, No Apologies" campaign connected our social and digital identity to the brand’s unique attributes and heritage in a surprising, memorable way." A spokesperson for Heat added: "CMOs today more and more are charged with growing the business and, as a result, they need partners that aren’t just ad agencies. "They need partners that can also deliver management consulting and martech if they need it so that they’re versed not only in marketing but can talk to their C-suite peers about business that actually drives growth."